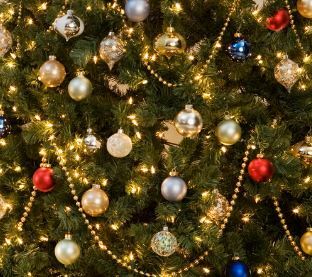 The Board and staff of One Family wish you and your family a peaceful and joyful festive season. Our office and our askonefamily helpline close on Thursday 22 December 2016 and will reopen on Tuesday 3 January 2017.
askonefamily is a helpline offering information and listening support for men and women who may be parenting alone, sharing parenting or separating. The helpline is also available to extended family, friends or professionals. Call us on 1890 66 22 12 or 01 662 9212, from Monday to Friday between 10am-2pm. We also offer an email service for information. The askonefamily helpline has been offered by One Family since 2004, supporting many thousands of parents by providing information, listening to their concerns, and letting them know about other available services both here in One Family and in their local community. When you call the helpline you will talk with one of the askonefamily team, either a staff member or a volunteer. This will be someone with training in non-directive listening and experience of parenting or working with families. We all need a listening ear at times or we might need information when we have a decision to make. When you call askonefamily you can expect to be listened to and given the right information that you need. 1890 66 22 12 is a lo-call number from land lines, but call rates to lo-call (1850/1890) numbers from mobile phones may vary. You should check specific details with your mobile service provider. The process of separation or divorce can be confusing, distressing and lonely. For parents who are sharing parenting during and after separation, communication is essential, and both parents will want to protect their children and ensure that, no matter how the family situation may change, they know how loved they are. They will need to develop a shared parenting plan. But sometimes hurt or anger can lead to a breakdown, or even a cessation, of communication between parents. The best way to achieve a workable parenting plan is one that is mediated or facilitated by a third party experienced in this area. The plan has a much better chance of success if both parents have contributed to its development and agree on an approach to shared parenting. One Family’s Mediated Parenting Plan service is offered by our Director of Children & Parenting Services, Geraldine Kelly. 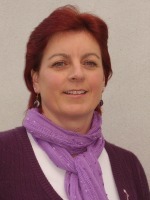 Geraldine is qualified with a BA in Early Childhood Care & Education, in Preschool Care and Applied Social Studies, as a qualified Parent Mentor with a level 6 award in Parent Mentoring and in Effective Communications, and as a Mediator with recognition as a practicing international mediator specialising in parenting and family transitions. Geraldine has worked with people parenting alone, sharing parenting, their children, and families in transition with One Family since 2003. Every family situation is different. What works for one may not work for another. One Family’s Mediation Service supports both parents to keep their child at the centre of parenting and to have as positive a relationship with one another as possible, so that they can parent in a productive way that promotes positive parenting. If you would like to learn more about our Mediated Parenting Plan service – which is part of a suite of support services which also includes parent mentoring, counselling, shared parenting and positive parenting courses, and our askonefamily helpline – please click here or call us on 01 662 9212. National Mediation Awareness Week runs from 19 to 24 October 2015 with the aim of highlighting ‘the benefits of mediation and the opportunity it offers to resolve conflict right across our society’. Find out more here. Every month a member of the One Family services team explains more about the particular supports they offer. This month, Parent Mentor Niki Williams writes about One Family mentoring supports available to all parents. Parent Mentoring is a service where a parent can safely talk one to one with a trained professional about any concerns they may have with their family and child relationships. With sensitive guidance and practical suggestions, the mentor supports a parent to identify what is working well for their family and what could be changed. Raising children can be a really challenging job yet most of us don’t evaluate our family relationships until a crisis forces us to. When living with a situation daily, it can be difficult to ‘see the wood for the trees’. Whether facing tantrums with toddlers, fussy eaters, children who won’t stay in their beds, unhappiness at school or a grunting teenager, it’s okay for a parent to need a listening ear and a helping hand sometimes. Parents always work hard to do their very best for their children. A Parent Mentor will support a parent to take time to reflect and reach a new perspective on what’s happening. This is useful for any parent regardless of the age and stage of their child/ren. I’m a Psychiatric Nurse, Counsellor, Parent Mentor and Trauma Therapist by training. I’ve also experienced challenging life events. In my experience, getting support doesn’t always mean solving the problem. It can mean maintaining a loving relationship even in the face of that problem. With increased knowledge about why parents and children behave the way they do, a more peaceful and enhanced home life can result for every member of the family. One Family’s Parenting Mentoring service is now available in Cork, Dublin and Wicklow with additional regions being added later this year. This is a low-cost service charged on a sliding scale from €20-€60. To book, call 01 662 9212 or click here to complete a short booking form. Next, you might like to read what One Family Counselling Support Worker, Lisa Maguire, wrote last month about our services for Young People in Care. Every month a member of the One Family services team explains more about the particular supports they offer. 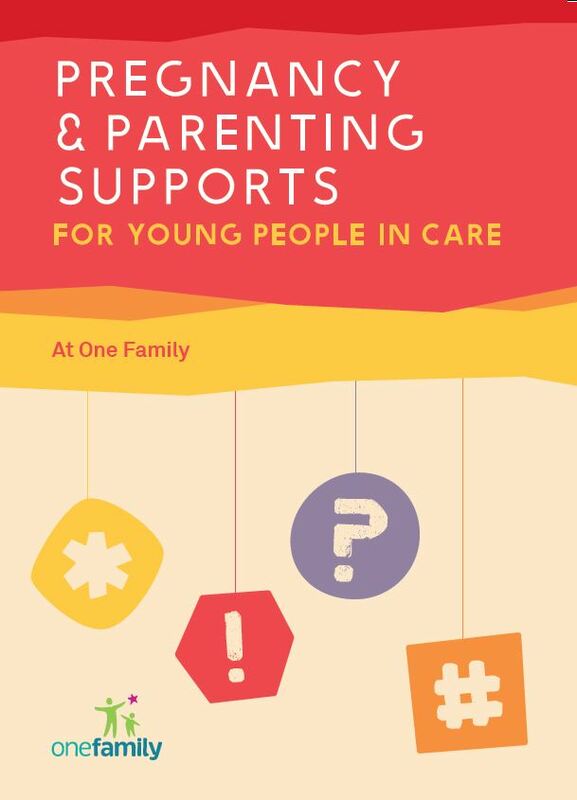 This month, Counselling Support Worker Lisa Maguire writes about One Family supports available to young people in care. This service is for young people who are pregnant or already parenting and who are in care or have a care history. A range of emotional and practical supports are available through pregnancy and into parenthood. Young people can self-refer to the service. Because the service is client-led, interventions are tailored to meet their stated needs. Such ‘interventions’ might include assistance with accessing entitlements; one-to-one parenting sessions; advocating on behalf of clients to relevant authorities, and the provision of ‘listening ear’ support. This service works closely with One Family’s unplanned pregnancy counselling service too. Young people with a care history might not have any dependable adults in their lives to whom they can turn for support, information and guidance. Our service offers these supports. Becoming a parent, especially for a young person, involves many changes and often many challenges; accessing support during the transition to parenthood can increase a sense of ‘being prepared’ and can reduce associated stress. My interest in justice and equality and in empowering those most marginalised in our society led me to complete a degree in Social Studies in Social Care in 2003. Since then I’ve worked in a number of different sectors including the youth and residential care sector, with people who are homeless, and in the field of mental health. One Family’s Young People in Care service gives me the opportunity to work in a client-centred service where clients develop a sense of their strengths and capabilities. This is a free service which can be contacted directly by young people who can call or text me on 086 079 3072 or email me to find out more about it or to book an appointment. We also take referrals, and professionals working with young people can call me on 01 662 9212. Some people will no longer qualify for the One Parent Family Payment (OFP) from 4 July 2013. If you are getting no other payment you may qualify for other income supports. A Jobseeker’s Allowance transition payment is available, which aims to support lone parents with children under 14 years of age back into the workforce. You need to make a new claim for these payments. If you are working and are already getting a Family Income Supplement (FIS) your FIS payment will automatically increase when your OFP ends. This will partially make up for the loss of the OFP. If you are unsure of what you can access and are struggling financially, please call our askonefamily Lo-call Helpline on 1890 662 212 or email us. 1. Q. My payment is due to end in July as my youngest child is 18, can I avail of the Jobseeker’s Allowance – Transition scheme? A: No, the Jobseeker’s Allowance – Transition scheme will only apply to those whose youngest child is under 14 so if you are applying for Jobseeker’s Allowance you will be subject to the full conditionality of being available for and genuinely seeking full time work. 2. Q. My payment is due to end in July and my youngest child is 11. I am working 5 mornings a week from 10 to 12 noon, can I apply for Jobseeker’s Allowance – Transition? A: Yes, because your child is under 14 you can apply for Jobseeker’s Allowance – Transition and although you are employed for 5 days in the week you are still eligible for this payment, subject to the means test. 3. Q. I started receiving OPF in November 2011. My child is 14 now and my payment is going to end as the age conditions changes from 14 to 12 in July. What payment am I eligible for as I am job seeking already? A: As your child is already 14 then you can apply for Jobseeker’s Allowance and you will need to meet the full conditionality of the payment of being available for and genuinely seeking full time work. https://onefamily.ie/wp-content/uploads/2017/09/One_Family_Logo_340x156px_web-1-224x103.jpg 0 0 Comms https://onefamily.ie/wp-content/uploads/2017/09/One_Family_Logo_340x156px_web-1-224x103.jpg Comms2013-07-24 12:15:232013-07-24 13:55:46Has your One Parent Family payment ended? As part of our 40th celebrations, we interviewed some of the original founder members of One Family – listen to their moving memories and insights into parenting alone 40 years ago, and how things have and haven’t changed….Evelyn Forde, Annette Hunter-Evans, Margaret Murphy, Gráinne Farren and one of the first staff members, Nuala Feric . Our New Futures programme has been nominated for Social Innovation for Communities (SI-C) which aims to import successful solutions to solve critical social problems in Barcelona. The SI-C is an initiative by UpSocial, in partnership with the City of Barcelona, the Government of Catalonia and Citymart.com. New Futures provides a valuable solution to the challenge of increasing the opportunities of single-parent families with children and reduce their risk of exclusion and poverty.